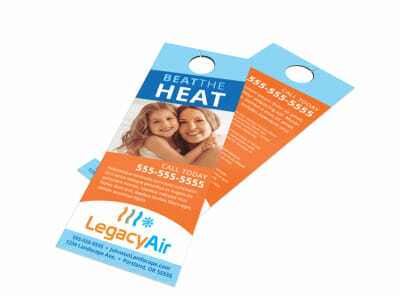 Customize our HVAC Door Hanger Template and more! 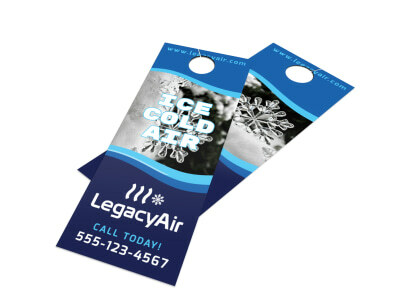 Don’t sweat your marketing campaign; promote your HVAC business with this customizable door hanger. 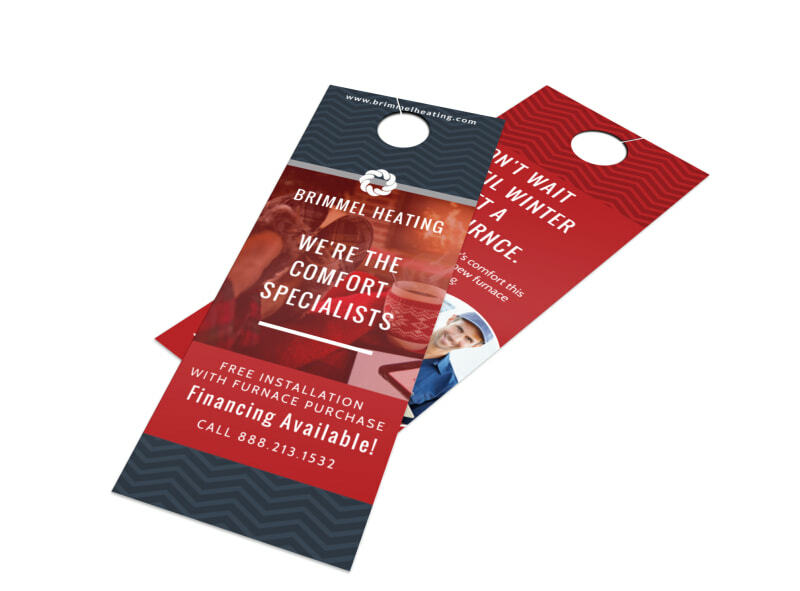 Use the white space on your door hanger to promote an ongoing seasonal special, free estimates for new clients, and more. 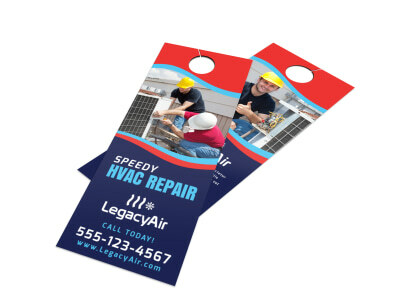 With our online editor, the process of designing your door hanger is streamlined and efficient, so begin the design process immediately and then print your door hanger from any printer for instant use.